AUBURN, Maine — After years of trying to keep marijuana out of schools, educators across the country are grappling with how to administer cannabis to students with prescriptions for it. The possibility of medical marijuana in schools raises a number of questions for school officials, such as who will administer it, how to prevent it from being redistributed by students, and even the legality of having it on campus. Only three of the 23 states where medical marijuana is legal have seen schools or state officials set up rules, according to the pro-reform Marijuana Policy Project. This week, a school committee in Auburn, a Maine city of about 23,000, approved a policy to allow students to have medical marijuana under certain conditions. It would have to be approved by a physician and administered in school by a parent or guardian, Auburn assistant superintendent Michelle McClellan said. Nurses wouldn’t be able to administer the drug and students would not be permitted to smoke it. The decision in Auburn came about two months after a New Jersey school became the first in the country to allow medical marijuana. The Larc School instituted the policy after 16-year-old Genny Barbour, who suffers from potentially life-threatening epileptic seizures, fought for the right to take edible marijuana. A nurse at the special education school in Bellmawr provides Genny with her midday dosage of cannabis oil. 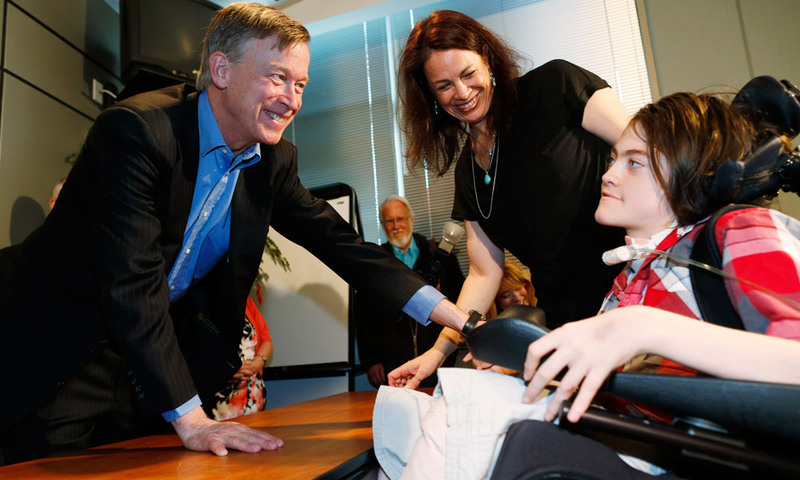 In Colorado, the law permits parents or professional caregivers to come on school grounds to administer medical marijuana if the district has adopted a policy allowing it, according to Megan McDermott, spokeswoman for the state Department of Education. School nurses or staff cannot administer it. Proponents of marijuana’s use as a treatment for everything from seizures to chronic pain trumpet the recent policy changes as victories for student health. Others who doubt the wisdom of allowing marijuana in schools raise concerns whether the changes will result in schools violating federal laws that still outlaw marijuana. In Maine, Auburn superintendent Katy Grondin said it’s important for school districts to make sure medical marijuana doesn’t interfere with education. Scott Gagnon, director of Smart Approaches to Marijuana Maine, which opposes legalization of marijuana and fought the state’s law to allow marijuana in schools, said districts are right to be cautious and work to prevent recreational use of the substance. “We already know kids report that drugs are sold and exchanged on school property. We don’t want to see this add to that,” he said. But Fox, the Marijuana Policy Project spokesman, said laws that allow access to marijuana in school are about providing children with medicine they need to be able to attend at all. “These kids, just because they’re sick, shouldn’t have their education interrupted,” he said.